A style popular with art galleries– this fine art frame displays your photos in a way that's sure to make a statement. 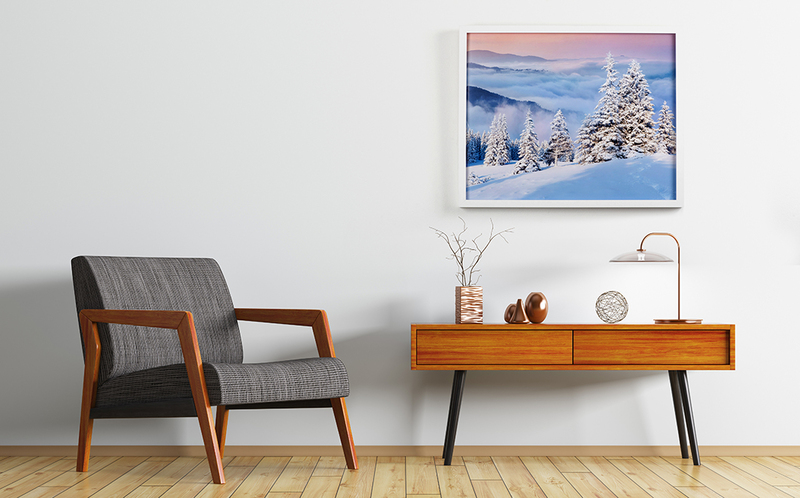 Get the classic gallery-style art frame. Each image is carefully reviewed for proper resolution before being printed to fine-art quality photographer paper. 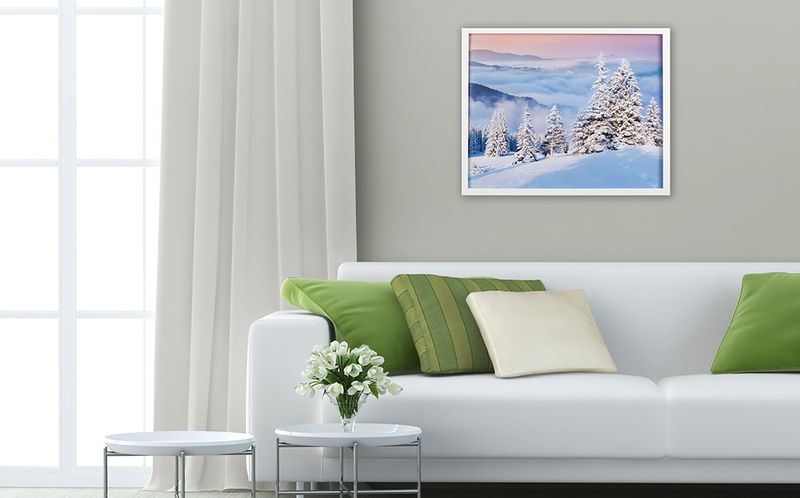 Your art print is mounted to foamcore and set in a stunning black or white wood art frame behind UV-protectant plexiglass glazing. A wire hanging system is installed to the back of the frame so every art frame arrives ready to hang on the wall. 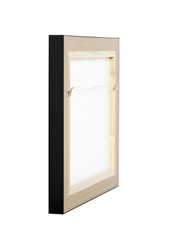 Wood art frame has a 5/8" face and available in black or white. Image is printed to fine art quality photographic paper. 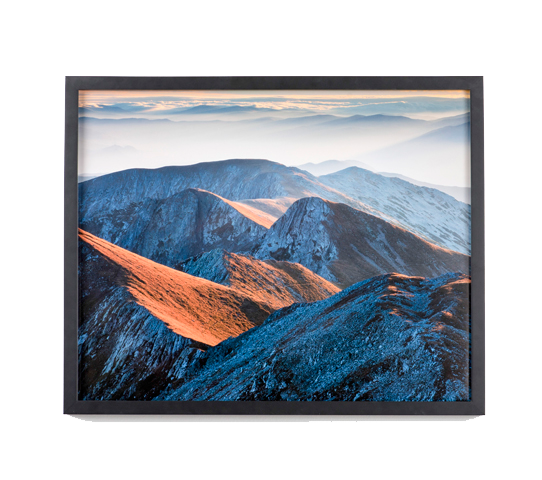 Each fine art print is mounted to foamcore and presented behind UV-protectant plexiglass glazing. Each art frame is 1 1/2" deep and available in black or white. Framed artwork is tape sealed and comes with attached hanging wire ready for hanging. Wire hanging system for simple hanging right out of the box.